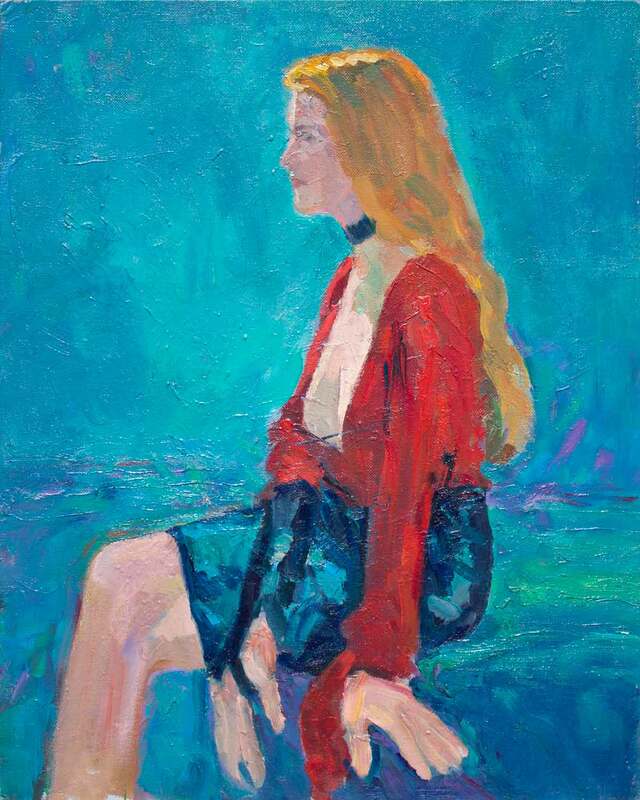 This oil on canvas painting was created in the 1980’s and was painted from a model with other illustrator friends of mine. Most of this painting was completed during a two and a half hour session. I just removed it from a storage closet last week. I still like this painting. I’m taking a break from my Fort Worth digital paintings for a few days to share my acrylic and tempera painting of model Magnolia Strange. Magnolia posed for a painting group that meets at Webster Groves Christian Church which is in St.Louis County ,Missouri. She is a model and burlesque performance artist. She was wearing a “hippy” costume that she made. 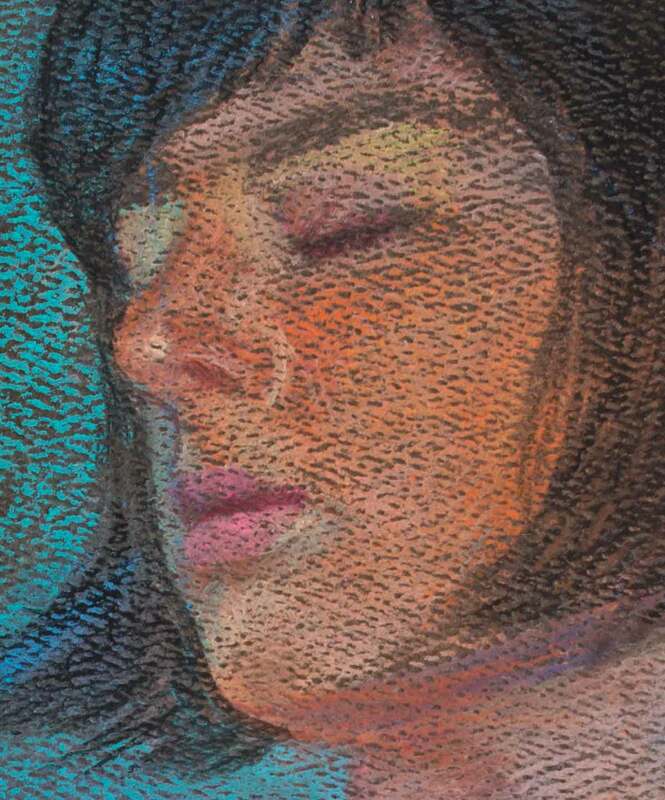 I started the painting during the “live” painting session and finished it in my studio viewing photos that I took of her. I used Palmer Prism Tempera and Titanium White Liquitex acrylic paint on canvas. detail of Magnolia Strange painting. 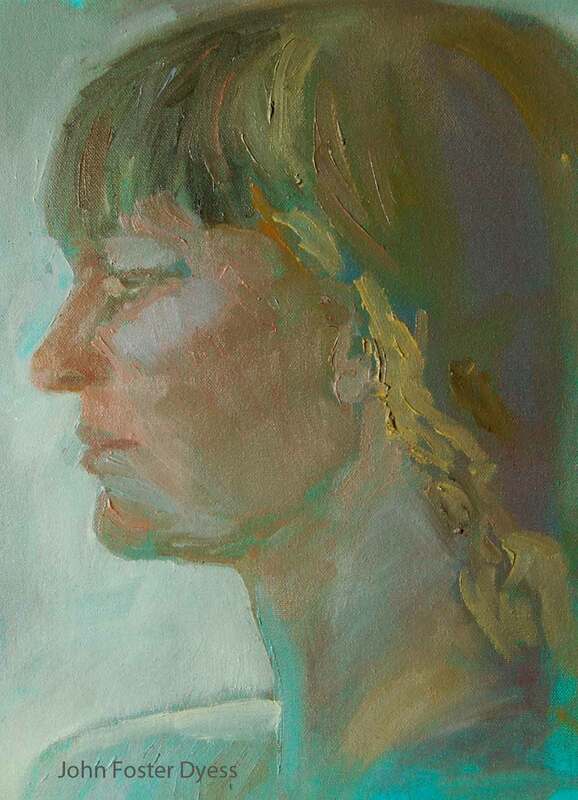 This model study was created using oil paint thinned with turpentine over crayon on canvas board. This was painted in the late 1970,s. 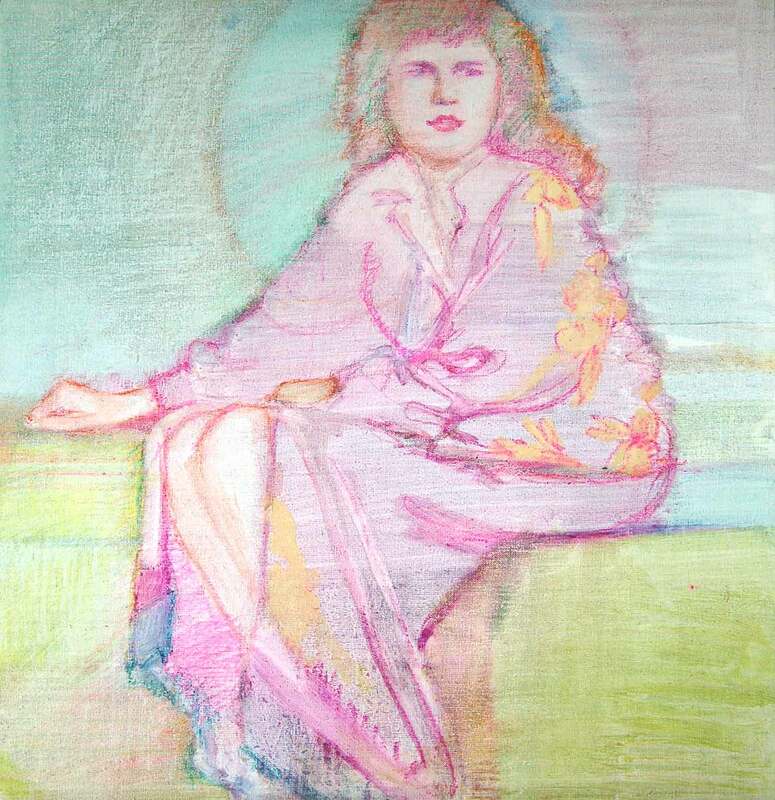 This is a pastel drawing I created last night during a drawing session at the St.Louis Artist’ Guild in St. louis Missouri. 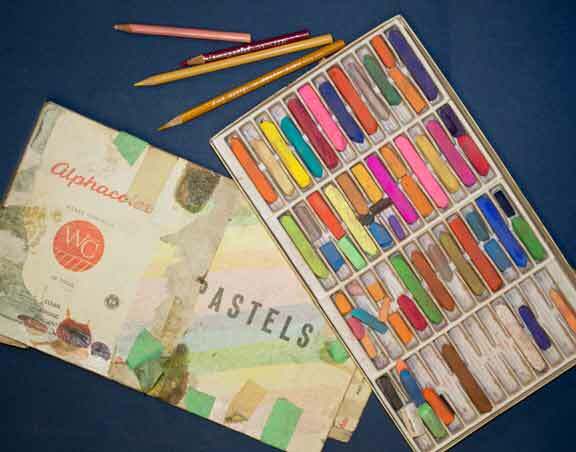 Below is a photo of the pastels and pastel pencils I used.